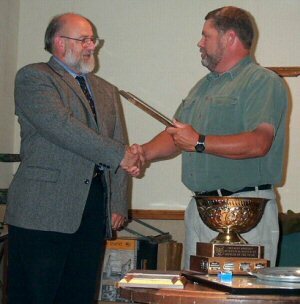 Alan Farrer, Northwest Regional Prosecutor, has been chosen as Ontario’s 2004 Conservation Officer of the Year. 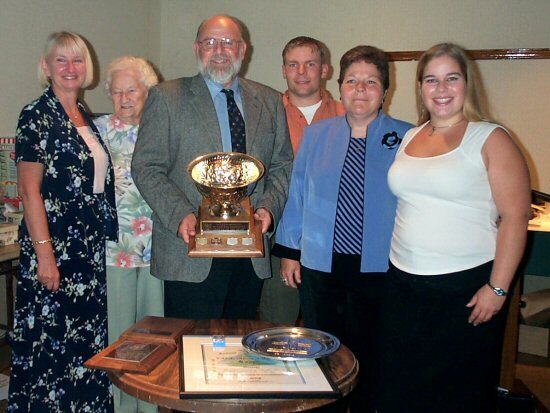 A selection committee consisting of field and main office staff, and representatives from the provincial enforcement program and the Ontario Conservation Officers Association (OCOA) selected the 2004 winner of this very prestigious award. 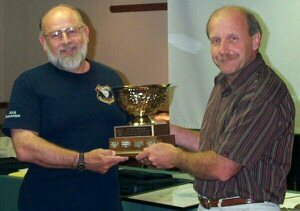 Al Farrer was formerly the District Enforcement Supervisor, Kenora District, and was selected for this award based on his 29 years of outstanding service to both the Ontario Ministry of Natural Resources, and the Ontario Conservation Officers’ Association. 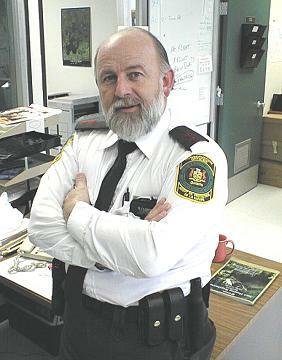 He was appointed as a Conservation Officer in 1975 in the Hearst District, and continued through the enforcement ranks in Algonquin Park, Kenora, and most recently as the Northwest Regional Prosecutor. His OCOA executive involvement spanned over a decade with two-year terms as North Central Regional Representative, Treasurer, Secretary, and then President from 1990 to 1994. Al has always maintained a strong connection to the Lake of the Woods communities, including Kenora, Sioux Narrows, Nestor Falls, Morson and its many First Nation communities. Al’s character can best be defined in the actions he demonstrates on a daily basis. He prefers a hands off approach whereby new hires can develop on their own while carefully offering alternative approaches and always offering encouragement to emphasize logical thought processes in dealing with issues. Al, along with his wife Debbie raised two children, Derek and Lindsay. Derek currently is pursuing a career in natural resource management while Lindsay is studying nursing in Windsor. Al’s strong connection and devotion to his family is evident and demonstrated any time you speak with him. Al’s diverse work experience across Ontario is an indication of his competence. He is a strong supporter of new officers learning the entire province, often offering them the opportunity to see other areas through officer exchanges. Al remains arguably, an expert on aboriginal case law in the province and is highly regarded in MNR Legal Services for his thoughtful, well-researched opinions on matters connected to native affairs and natural resources. 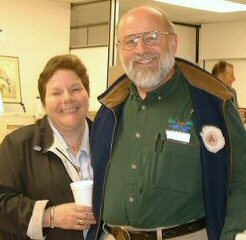 As a supervisor, Al has made a significant contribution to wildlife law enforcement by motivating, encouraging and leading new officers by example. Al is a professional every step of the way and demonstrates this on a daily basis through his demeanor in court and in the manner he deals with offenders at roadside checks, he holds everyone in the highest regard. Al wears the Conservation Officer uniform with pride and respect and ensures that his staff do likewise. Al is strongly connected to the community in which he has lived and worked and demonstrates this through his interest in learning the customs and traditions of each community and its’ inhabitants. This knowledge has allowed him to work more effectively and has allowed him to enjoy the mutual respect that the residents have offered him for doing his job. The most significant accomplishments which Al achieved include his 2000 Ombudsman Award for informal complaint resolution and the trust placed in him with his appointment as the Northwest Region MNR Prosecutor. Officer Farrer was presented with the Ontario Officer of the Year Award at the OCOA meeting in Gananoque, Ontario, by both OCOA Pesident Jim McMullen, and MNR’s Director of Enforcement Branch, Serge Tenaglia. These presentations and awards reinforce the high quality of staff both the MNR and OCOA are proud to have working for the OMNR enforcement program. A sincere “Congratulations” is extended to Al for his efforts and upon receiving this award.